In one of the first surveys held since the near-fatal stabbing of Mr Jair Bolsonaro, the rightwing conservative candidate for the Brazilian presidential elections in October, the candidate for the Social Liberal Party (PSL) party could be seen increasing his lead on his rivals with him now being the clear winner of the first round at 30%. In the likely case of a runoff ballot (aka if any candidate fails to get 50% in the first round of voting), all political surveys thus far have concluded that Mr. Bolsonaro would tie with Mr. Fernando Haddad, who is almost certain to be named as the Workers Party candidate this week, but that he would lose to all other top rivals. Betting houses and international markets (see our related coverage) seem to think otherwise as Bet90 as from this weekend offered only a 2 to 1 return on betting on a Bolsonaro presidency whereas his political rivals stood at 6 to 1 still. Related coverage: <a href="https://thegoldwater.com/news/36524-Brazil-Investors-Bookies-Agree-Bolsonaro-s-Chances-For-Presidency-Risen-After-Attack-Video"> Brazil – Investors, Bookies Agree Bolsonaro’s Chances For Presidency Risen After Attack (Video)</a>. Mr. Bolsonaro, a former army captain who favors easing gun control laws to fight the crime spree that the country has been under, has in the past stirred controversy with comments denigrating women, gays, blacks and indigenous people. He has been leading the field from months now as Brazilians are angry over political corruption which has seen their country slide further into an economic abyss. 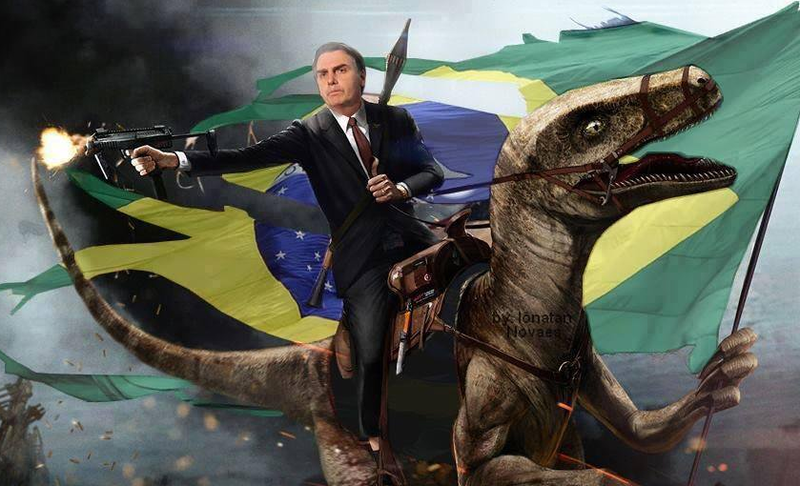 Mr. Bolsonaro has the biggest online following of any candidate for the Brazilian election, hence the ‘memes’ depicting him are readily available as you can see. Be sure to let us know what you think of the poll hereunder in the comments section.